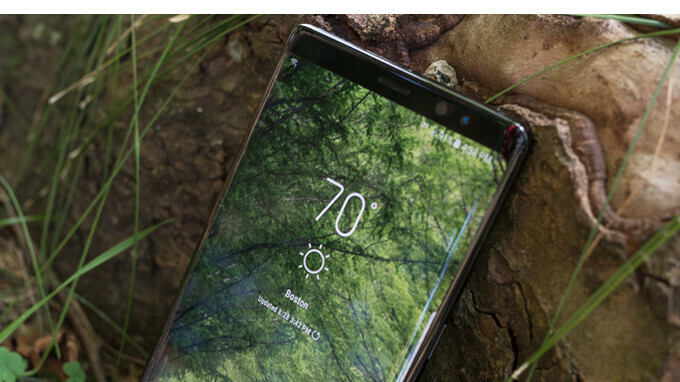 It looks like good things happen to consumers who bought the Galaxy Note 8 in the United States. After Samsung announced earlier this week that it will upgrade the smartphone to Android 8.0 Oreo in 2-3 weeks, local carriers started to deploy the update. AT&T was the first US carrier to offer the update, followed soon by Verizon. Now, we've received word that Sprint is rolling out Android 8.0 Oreo to the Galaxy Note 8, too. The update weighs in at 1.3GB and brings the March security patch, as well as Samsung Experience 9.0. Besides the new features and improvements that come with Android 8.0 Oreo, Samsung included some of its own, which are meant to improve biometrics (face, fingerprints, and irises), Quick Panel, Home Screen, Samsung Keyboard, and system performance. Since the roll-out has just begun, be patient if the update doesn't show up on your Note 8 right away. It shouldn't take more than a few days for Android 8.0 Oreo to arrive on all Sprint Galaxy Note 8 units. You know what's weird... I thought this would download faster on Xfinity's WiFi (126 mbps), but after 35 minutes it was only 9% done, and I had to leave the house. Then on Sprint's network (only 90 mbps) it finished the other 91% in 5 minutes. Used Ookla to measure speeds. Wonder how xfinity could give such a high number, but perform so poorly. Downloaded in just 5 minutes here. I live on the Illinois/Wisconsin boarder where it is a little more remote, and the Sprint network blows away T-mobile speeds (switched from T-Mobile last year). Hotspot was also active during the update process. I was mostly complaining about Xfinity, their ookla numbers seem fake. I'm outside of Colorado Springs, Sprint is good here and in the ski resorts..
Got the update on Verizon.